A recent NASSCOM report stated that India is one of the fastest growing and third largest Startup ecosystem in the world just behind the US and UK. A four-fold increase in the access to capital in the form of Angel Investment, Seed Funding and VCs translates into a much superior support system for the Entrepreneurs of today. With so many startups, the Customer can now look beyond the Flipkarts, Snapdeals and Amazons for a range of unique, customized and niche Products & Services. However, with this growth, there also comes the inevitable task of strategically promoting the value your product/service has to offer. Adding to that the need of ensuring tangible returns to the money spent. This is where the introduction of Affiliate Marketing in India has helped change the marketing potential for a lot of Indian Startups. An independent promoter (Affiliate) who uses any web property available to him/her (Social Channels, Blog, Google Ads, Review Sites, Youtube Videos, Email and more) to promote the value offered by a Product/Service of a Merchant for a fee that is paid upon Sale, Lead Generation or for a pre-defined action would constitute as Affiliate Marketing. In the current scenario, Affiliates contribute to around 15% of the sales happening on online retail sites in India. This is a phenomenally large number given that Business Standard pegged retail e-commerce sales in India to grow by 45.2% to $7.69 Billion in the year 2015. The fact that Affiliate Marketing infuses the benefits of Content Marketing through the channels mentioned earlier, and the relatively lower risk involved by having to only pay for a pre-defined action has made the sales channel a favorite amongst Startups in India. This is quite evident with the number of In-House Affiliate Programs that have been setup by businesses. Earlier when a business would consider exploring their opportunities with Affiliate Marketing, they would outsource their Affiliate activity to a third party network. The network in-turn could offer the business the value of a quick set up of an Affiliate Program, access to a range of Affiliates, a Tracking System, and the task of handling a Commission Payout. While this may still be the case with a larger number of them, some businesses in India have very recently looked at measures to manage their own Affiliate Program. For instance, businesses like Flipkart, Amazon & Snapdeal manage their own Affiliate Program, and are paying upto 15% for every successful Sale. And it’s not just the big boys, startups like Zepo & Bewakoof have also earnestly invested in their own Affiliate Program by utilizing Third Party Affiliate Tracking Software, hiring Affiliate Managers to keep an eye on the day to day sales numbers and contemplate measures on how to increase the channels contribution to the overall revenue. From a long term perspective this has helped merchants build a much better rapport with their affiliates. Startups see this as a worthwhile investment given that the Affiliate Channel helps them leverage on the best available traffic, and can end up contributing to about 20%+ of the overall revenue. In 2014, during the Diwali Holiday season, Amazon had turned to its Affiliate Channel to work towards incremental revenues. They strategically experimented with their affiliate Commissions to measure the potential they could derive through it, and reached out to their affiliates with special offers. Reports from the Economic Times suggests that while traffic to Flipkart and Snapdeal had increased by 200%, Amazon witnessed a 250% increase in traffic which it attributed to its Affiliate Channel. On the Affiliate side, websites like CouponDunia, Cuponation and Cashkaro are favorites with established and young businesses. They serve as a platform for smaller businesses to build brand awareness, showcase their Products or Services and facilitate Customer Acquisition. Whereas they help the already established businesses work towards a larger market share, and offer them a competitive advantage. CouponDunia manages to push roughly around a total of 20 Crores worth of Sales to online retailers every month. CashKaro, a site that along with discounts offers its users cash back on every transaction has helped its partners generate around 150 crores since the time of inception which is April 2013. Apart from the above, there are a host of other competitors trying to be a part of the burgeoning online discount market. This is for good reason since the Online Coupon industry is growing at a phenomenal pace. In India, this Industry had accounted for $2 Billion in 2013, and is pegged to grow by an additional 30% by 2017. With the availability of technology and advance tracking features for all actions performed online, Affiliate Marketing was predominantly a method used for promoting online businesses. However, businesses like CouponDunia and Pricebaba have opened up opportunities for Offline Merchants to also leverage on the benefits of Affiliate Marketing. Now, when a customer is researching for pricing information for their next mobile phone purchase, a website like Pricebaba.com can help the user with a comparison between Local & Online sellers. The user just enters the phone type and the area they reside in and the website immediately populates a list of Online & Offline stores offering the product, and the competitive rates possible. If the user decides to make the purchase through an offline store, an exclusive code is sent to the user which can then be redeemed at the point of purchase. Similarly CouponDunia has an extensive list of deals to restaurants listed on their website. A user searches for a restaurant of their choice, selects the deal they’re interested in, and has it sent to their Mobile in the form of a text which is then redeemed at the store. This way exclusive coupon codes, a numerical or text is used to be able to track promotional activities that lead to a transaction with an Offline Merchant while the user was Online. In recent times, a large number of individuals in India have set up general or niche Blogs and are optimizing it to generate income through it. Indiblogger, one of the largest Blog networks here in India, has a registered list of around 40,000 bloggers. Startups and Businesses have now started approaching Bloggers and Review sites more as compared to previous times because of the efficacy it holds in promoting the value of a business. Current scenarios don’t have people simply jumping out for a discount or offer that they get a hold on, people are taking their time in doing research. A majority of this research is being done online wherein a larger section of this research is done through informative review sites and individual Blogs. Affiliate Marketing in India has now reached a point where it’s reached some level of maturity and is being considered as a serious sales channel for ecommerce startups and even established businesses. It’ll be interesting to see how the landscape evolves with the rise in usage of smart phones for browsing, and innovative tracking technology. 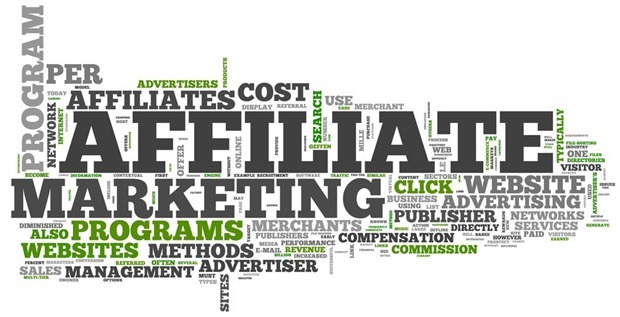 Have you tried exploring the potential of Affiliate Marketing for your business? If yes, what are your experiences, and if not yet what has been holding you back. "The Growth Of Indian Affiliate Marketing Ecosystem: A Primer", 5 out of 5 based on 1 ratings.